OUR NEW BOOK NOW AVAILABLE! 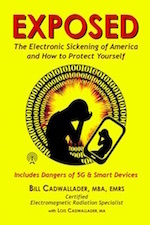 EXPOSED THE ELECTRONIC SICKENING OF AMERICA And How To Protect Yourself! Protect your environment from harmful radiation. Schedule a home, school or business inspection today! Our DIY solution allows homeowners and businesses to easily test for unsafe levels of electro-pollution and minimize their harmful effects. All home inspections are done by a Certified Electromagnetic Radiation Specialist using certified and calibrated equipment measuring all four types of radiation: WiFi / Wireless, Electric, Magnetic and Dirty Electricity. Talk to a Certified Electromagnetic Radiation Specialist covering topics which are of most concern. We’ll discuss all four types of radiation: WiFi / Wireless, Electric, Magnetic and Dirty Electricity. All school and business inspections are done by a Certified Electromagnetic Radiation Specialist using certified and calibrated equipment measuring all four types of radiation: WiFi / Wireless, Electric, Magnetic and Dirty Electricity. Chose from five packages that easily walks you through the Electromagnetic Radiations that put you at risk. We have a package for every budget and there’s no prior experience needed. Help yourself, your family, your friends and even your pets. Please go to your email to download the 10 Ways You Can Reduce Radiation Exposure. The Cadwallader Protocol offers a comprehensive D-I-Y program which guides you step-by-step through every room, testing every electrical device, offering simple and measurable solutions to reduce prolonged exposure to EMFs. I was unaware of the many dangers of Electromagnetic Radiation until talking with Bill. By following the Cadwallader Protocol for radiation reduction I feel much safer and confident I have reduced my exposure to its harmful effects. Thank you!" I was not sleeping well and experiencing severe lethargy. The EMR in my sleeping area was 80xs the safe level. 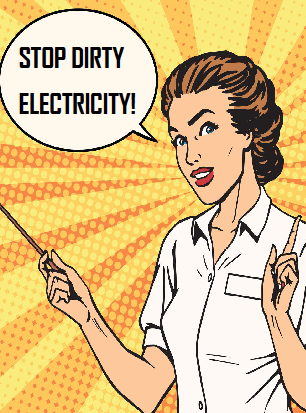 Stop Dirty Electricity provided easy fixes. I am so grateful to have the energy I thought I left behind & can enjoy safe sleeping levels in my new home. I was literally losing my hair. After measuring the suggestion was that I remove my Electric Utility “Smart Meter.” Shortly after my “Smart Meter” was removed I quit losing my hair. I’m extremely grateful.